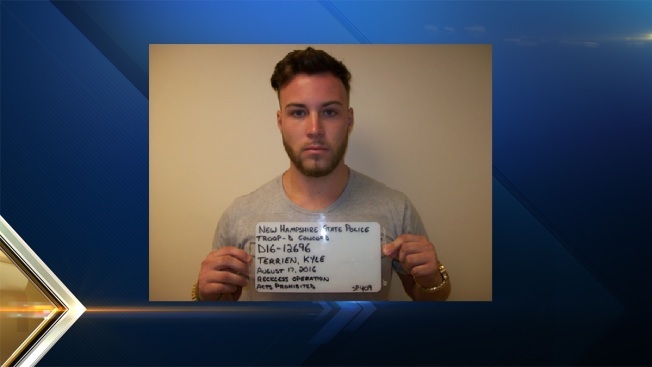 New Hampshire State Police say a man has been charged with driving up to 119 miles an hour on a 65-mph part of Interstate 93 in Bow. Twenty-two-year-old Kyle Terrien of Dighton, Massachusetts, was stopped and arrested at about 7:15 a.m. Wednesday. Police said he was weaving in and out of traffic at a high rate of speed during the morning commute. Terrien was charged with reckless driving and with possession of a controlled drug. He was released on personal recognizance bail and is scheduled for arraignment on Sept. 23. It wasn't immediately known if Terrien had a lawyer and a phone number couldn't be found for him.